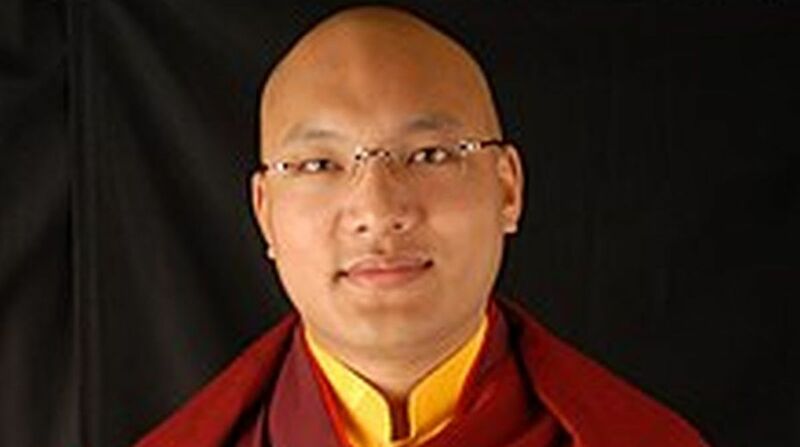 In a recent statement from New York, the 17th Karmapa, Ogyen Trinley Dorje (OTD), regarded as the most influential Tibetan Buddhist leader after the Dalai Lama, conveyed to the Government of India that he is unhappy over “restraints” on his travel and monitoring of his activities at all times by intelligence agencies. He also declared that he has no interest in politics. This has posed a sudden challenge to the Government of India regarding the Tibet strategy though the Karmapa’s controversy has been raging since his arrival here from China in 2000. In February 2011, OTD was accused of being a Chinese spy by officials of the Government of India in Himachal Pradesh because $1 million in cash was found in his Gyuto monastery near Dharamshala, part of it was in Chinese Yuan. The Chinese government had earlier recognised OTD as “the first reincarnated Living Buddha confirmed and approved by the Central Government of the People’s Republic of China after the peaceful liberation of Tibet in 1951,” which is in itself unusual since the Chinese government is secular, Communist and has previously denied reincarnation. However, in March 2011, the Indian government stated that the funds found in Karmapa’s possession were legitimate donations, and released some of the travel restrictions on OTD, allowing him to travel out of Dharamshala, except Rumtek monastery in Gangtok. This seems to be the biggest mistake on the part of GOI because thorough security clearance should have been carried out by the Indian intelligence agencies before allowing him to travel in various sensitive areas of India and abroad especially South-east Asia because of his doubtful antecedents. Though the Karmapa OTD, who fled from China to India in dramatic circumstances in 2000, is not explicit, his discontent seems linked to his reluctance to return to India from his US visit in May last year. He has pitched camp in New York where he meets his followers amid public engagements. It is believed that he has sought US asylum. His differences with the Indian government have lingered despite suspicions having ebbed over time. The flight to India was “facilitated” by the Chinese to give him recognition as a famous religious figure of Tibetan Buddhist of Kagyu lineage so that he gets an international salience. OTD recently declared that he would return to India in November 2018, perhaps after attending the world Hindu conference in Chicago next month. However, his long absence from India has raised doubts among about his intentions. On his part, the Karmapa has made it clear that he is chafing because his movements are always monitored in India. He needs permission to address his followers from Gyuto Monastery near Dharamshala, even to travel within India and South-east Asia without restrictions. The recognition of the Seventeenth Karmapa has been the subject of controversy. Since the death of the sixteenth Karmapa, Rangjung Rigpe Dorje, in 1981, the names of two candidates have been put forward ~ OTD (born 1985) and Trinley Thaye Dorje (born 1983). Both have already been enthroned as the 17th Karmapa, and both have been performing ceremonial duties in the role of Karmapa. The Karmapa lineage is the most ancient Tulku lineage in Tibetan Buddhism, predating the Dalai Lama lineage by more than two centuries. The lineage is an important one as the Karmapa is traditionally the head of the Karma Kagyu School. Of the two 17th Karmapas, Situ Rinpoche and Gyaltsab Rinpoche have recognized OTD. In July 1992, both asked the office of the Dalai Lama in Dharamshala to confirm their recognition. The 14th Dalai Lama confirmed the recognition of OTD. His recognition is, in part, attributed to a dream that he had had of OTD’s birthplace. The Dalai Lama had seen a valley at a higher latitude with multiple streams and other features. Then, in the dream, a voice with no form or body said that this was the place where Karmapa was born. For the government of the People’s Republic of China, OTD is the 17th Karmapa. Control of the Rumtek Monastery, which was the seat of the 16th Karmapa in exile, has been the subject of a legal contest. In 1961 the 16th Karmapa established the Karmapa Charitable Trust. OTD followers claimed that the trust was established to supervise the welfare of the Karmapa’s followers, providing funds for the maintenance of the monastery, and for the monks’ medical fees. The administration of the monastery was, however, the responsibility of the Tsurphu Labrang. The Rumtek followers had undergone a chain-fast for more than 600 days to facilitate the OTD’s visit and stay at Rumtek monastery, but the GOI did not accede to their request. However, it allowed him to visit Sikkim except the Rumtek monastery for obvious reasons. The case relating to the management of Rumtek monastery went up to the Supreme Court. It decreed that the Karmapa Charitable Trust, formed in 1998, would regain control of Rumtek monastery. In this decision, given in the case of Tsurphu Labrang vs. Karmapa Charitable Trust and Ors. on July 5, 2004, the court refused to hear the appeal of the Tsurphu Labrang, a group created by Gyaltsab Rinpoche and Tenzin Namgyal to represent the claims of followers of OTD to manage Rumtek in legal proceedings. The court rejected their Special Leave Petition to this effect. By thus refusing to interfere in the earlier decision of the Sikkim District Court and a subsequent confirmation by the High Court in New Delhi, the Supreme Court allowed the original decision to stand ~ meaning that the Tsurphu group had no legal claim to Rumtek, and that the Karmapa Charitable Trust was the only group recognized to manage the monastery. In March 2018 OTD published a video on his official You Tube, indicating a temporary break from his activities. He expressed doubts over whether he was as skilled as the previous Karmapa and urged the community to reconcile the division of the Karma Kagyu Lineage. On September 24 last year in one of his prayer meetings at Dharamshala, the 14th Dalai Lama declared, “When I am about ninety I will consult the high Lamas of the Tibetan Buddhist traditions, the Tibetan public, and other concerned people who follow Tibetan Buddhism, and re-evaluate whether the institution of the Dalai Lama should continue or not. On that basis we will take a decision. If it is decided that the reincarnation of the Dalai Lama should continue and there is need for the Fifteenth Dalai Lama to be recognized, the responsibility for doing so will primarily rest on the concerned officers of the Dalai Lama’s Gaden Phodrang Trust. They should consult the various heads of the Tibetan Buddhist traditions and the reliable oath-bound Dharma Protectors who are linked inseparably to the lineage of the Dalai Lamas. They should seek advice and direction from these concerned beings and carry out the procedures of search and recognition in accordance with past tradition. I shall leave clear written instructions about this. Bear in mind that, apart from the reincarnation recognized through such legitimate methods, no recognition or acceptance should be given to a candidate chosen for political ends by anyone, including those in the People’s Republic of China”. In view of the Dalai Lama’s declaration regarding reincarnation of the 15th Dalai Lama at the age of 90, the 14th Dalai Lama should now declare one of the Karmapas as the real 17th Karmapa so that the teachings of Tibetan Buddhism, art and culture are spread in the interest of unity and integrity of Tibetan Buddhists in India, Tibet, and China. At the same time, the Government of India must keep a strict watch on OTD’s activities in India and abroad.